Summary: Once on the reject table, always on the reject table? 2nd novella in the Nashville Connections series. First: What Happens in Nashville. Review: Firstly, I must acknowledge that I haven't been on the blog too much. I have just moved stores for work and that has been crazy but good. Plus on the 1st September I have started a twist on the Dryathlon for Cancer Research and have given up Tea and Coffee for 30 days and at the very beginning I had crazy headaches which meant I couldn't read or write a great deal, even work was super hard at the beginning but hot chocolate sugar boosts are really helping me as are donations and support. 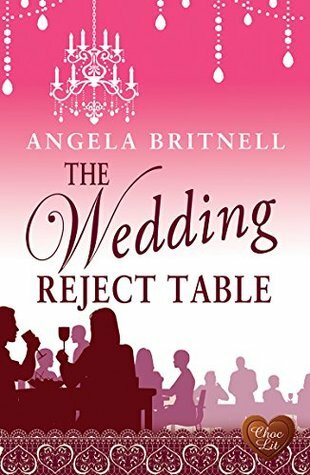 So Angela Britnell is one of my favourite authors and I had been banging on at Choc Lit books for a good novella that I could get my teeth into and when they suggested this I knew I would enjoy it. Maggie and Chad had my heart very early on into this awesome novella. It was really funny as the more Maggie tried to ignore Chad the more he wanted her. I am a sucker for anything country and I have had many conversations with Angela about visiting Tennessee. This story will stick with you long after you have finished reading it, I have already told Angela that Maggie and Chad need another story based in Nashville. This isn't an easy love story they go through some hard times but you can see throughout that they both need each other. A proper feel good treat from Angela and Choc lit. I loved devouring this novella. Angela knows how to write about brooding American guys and super strong wiled women. I have adored everything that I have read of Angela's and I love a good novella so thank you. I will be back real soon, been trying to get loads done on my day off. Can't believe I've only just seen this and so glad you loved the book. There will hopefully be a sequel sometime next year!